In 2013 the FAST search engine is fully integrated into SharePoint and there is only a difference in features for search based on the three types of licenses (Foundation, Standard and Enterprise). See a list of feature comparisons for a quick overview for differences between editions within search. This automatically implies changes to the search functionality on different levels. 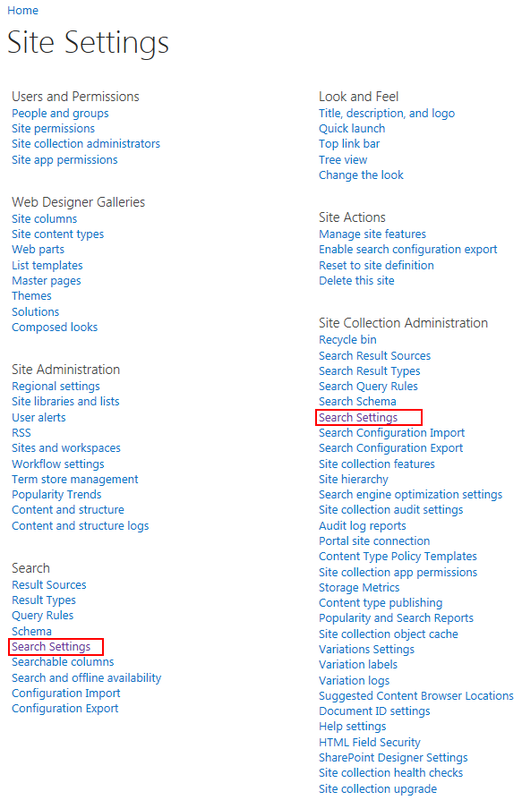 In this post we’ll focus on the Search Settings for Site Collections and Sites where some things has been changed. * Note the spell error in the Search Results Page propertyname. 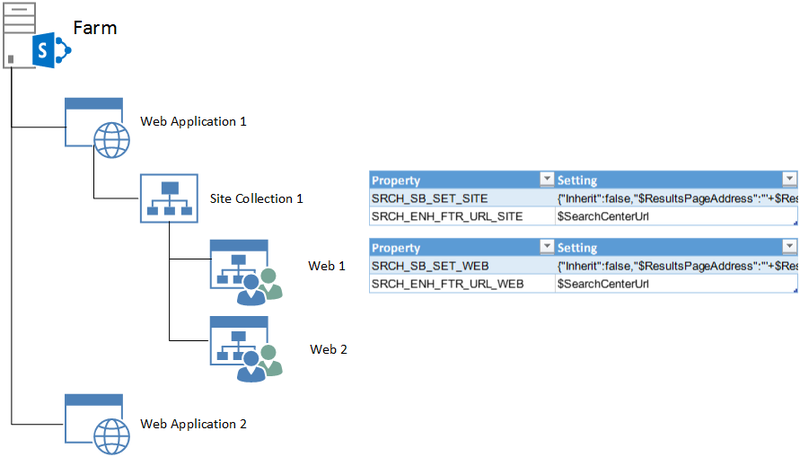 This was a spell mistake which was there in the SharePoint product itself. Search Settings are in 2013 available on two different levels. Default Search Settings after visual upgrade. All customized settings seems to be lost. Search Propertynames mapped to the settings in the User Interface in 2013. Search Center URL can also be specified in Search Service Application. For the inner structure of the properties I want to refer to the article of Radu Tut about Search Box Settings as there is already written a lot about this on the internet. A scenario which hasn’t mentioned a lot is how you can migrate the old settings to the new ones. It cannot be done OOTB, you’ll need PowerShell scripts, custom-made CSOM tooling or Server Side Code to do this. When you are using custom Farm solutions with a custom feature to set the Search Settings it might be very powerful to use Feature Upgrades to apply the new settings using code. In combination with the article of Radu Tut you should be able to create an upgrade yourself and invoke it using Powershell Scripts. 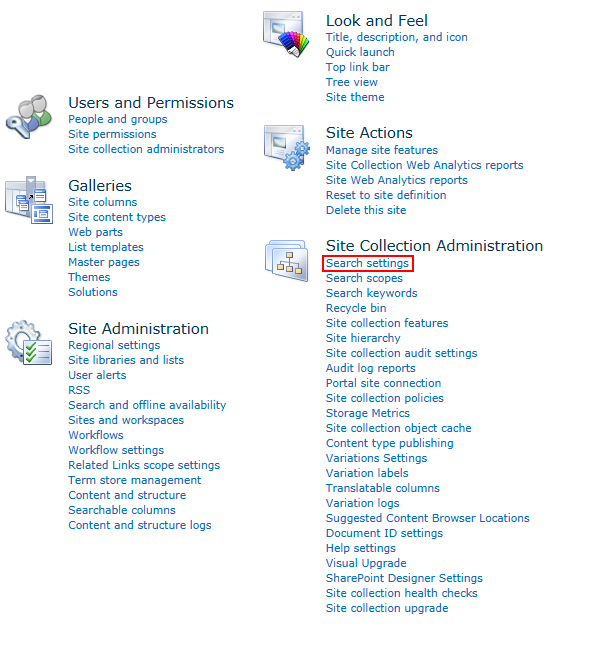 This entry was posted in Migration, SharePoint and tagged Migration, Propertybag, Search, Search Settings, SharePoint 2010, SharePoint 2013 on 5 April 2014 by captain007. Jeroen van Lieshout works as a SharePoint Developer at Avanade, mainly specialized in developing custom solutions for SharePoint 2013.